Amsterdam born and raised DJ Predator, a.k.a. Stephan Scheltema, had to deal with creative mind all his life. 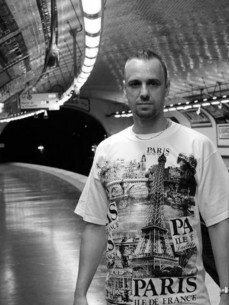 Lost in graffiti art during his childhood, he became intrigued by early Rap music, Breakbeats, Reggae and Electro. The purchase of a Commodore Amiga in 1991, provided him with the means to experiment with beats and breaks himself. Influenced by his love for music and driven by the the rage of a young boy, he established his first release on vinyl in 1992. Over a period of six years, he managed to release more than sixty tracks, most of them on labels such as Mokum, Ruffneck, Ruff EX, Cenobite and H2Oh. With the growth of the dance scene in general, Predators star was rising, providing him with more equipment and possibilities. Living his dream of expressing his musical thoughts on recordings and spending all his time and money and on his studio. Hit releases like Jiehaaaa, Pump Up The Vibe and Mind Of A Lunatic brought him recognition from around the globe, resulting in live performances and DJ bookings in worldwide, from Canada to Australia, from Russia to the United States, Germany, Holland, Swiss, the UK and more. Slowly but surely maturing his natural love for Hiphop and Breaks, these musical styles started to sneak into his productions. was voted best Dutch Drum n Bass producer in 2002.